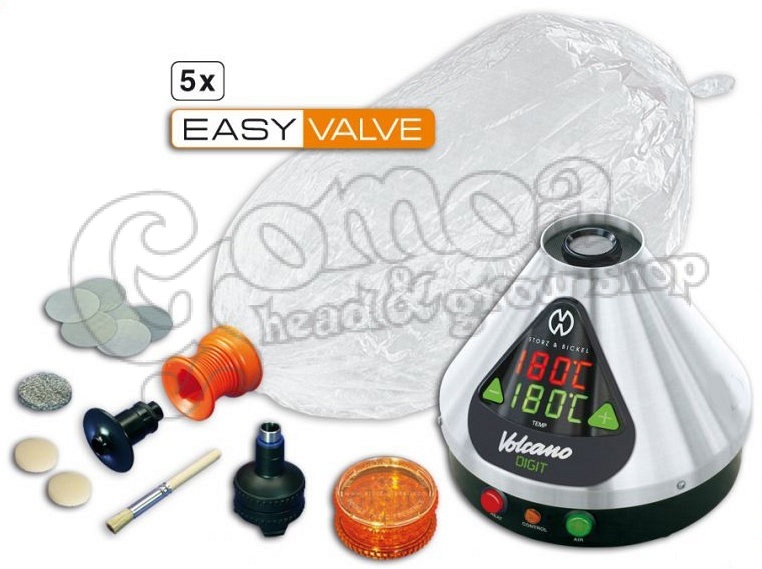 An independent temperature fuse, Air Filter and silencer are naturally included in our VOLCANO Vaporizers, as is a specially designed aluminium heat exchanger, which brings the air both cleanly and reliably to the desired temperature. THE PRODUCT IS AVAILABLE WITH EASY VALVE STARTER SET. The EASY VALVE that can be used with all the VOLCANO models produced so far.